Innovative – what exactly is that? 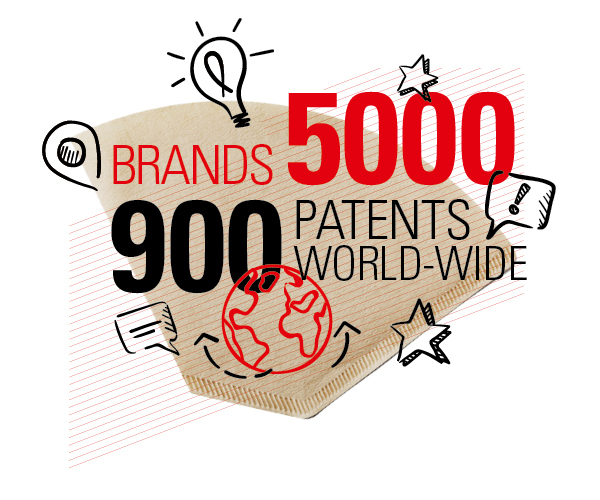 From pioneering coffee filters, to the first cling film on the European market, new types of dust filter bag systems, and vacuum-packed coffee: Melitta is a company with a long and successful history – and has created new markets and set new standards with numerous innovative inventions over the past decades. But what actually makes this family business an innovator? And how is the much-used buzzword “innovative” interpreted in Minden? We examine exactly this question below to find out what it actually means for Melitta to be innovative. Inventive genius: Melitta as an innovative company. Coffee drinkers all over the world have always wanted to enjoy coffee with its full aroma – but without the unpleasant bitter substances. But, it wasn't until Melitta Bentz had the innovative idea of filtering coffee with blotting paper that a truly satisfactory result could be achieved. And this result is still on everyone’s lips – quite literally – over 100 years after she filed a patent application for her invention. With her pioneering invention in 1908, Bentz not only laid the foundation for a highly successful and innovative company. Throughout her life, she recognized how to identify and satisfy the relevant needs of the young company’s customers. An approach that continues to drive Melitta's innovation management today. Being open to ideas from inside or outside the company helps us tap changes in the market and anticipate new trends. In this way, we can understand current and future consumer needs much better – and find new solutions. The diverse range of knowledge and complementary skills of our departments and operating divisions offer new perspectives on consumers. Their needs can be recognized much faster – enabling us to successfully develop and implement new ideas and projects. Thinking and acting like an entrepreneur means, above all, being quick, taking new paths, and accepting risks. In doing so, Melitta focuses clearly on results rather than processes. And if processes are required, they are kept as lean as possible. For Melitta, innovations are more than just new products. According to the company’s philosophy, they comprise business ecosystems of products and services which are marketed either alone or together with partners. Innovations do not necessarily have to be world-firsts, but simply offer something new for a particular region or specific field of application. However, if something is merely new for Melitta, this is not regarded as an innovation. In addition to its own growth and the development of new market segments and business fields, Melitta has always focused on one thing in particular: the interests of the consumer. And not without reason. To establish itself in a market over the long term, an innovation must add value – for the company and its consumers. 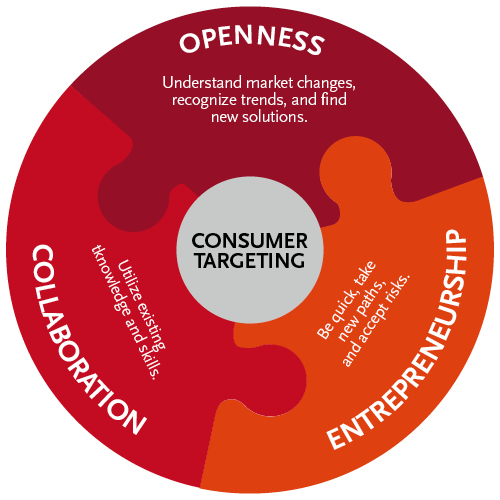 “Consumer-centric” is therefore one of the basic requirements for any innovation. And thus offers a solid basis in our fiercely competitive international markets. As already described, Melitta’s approach is strongly results-oriented and without long-term project planning. The company’s innovation method consists of identifying, creating and realizing customer benefits. Against this backdrop, Melitta uses innovative methods which enable it to see things from the customer’s perspective, and then to create and implement new ideas. developing a tangible product/prototype within a short time period. recording the direct feedback and opinions of the relevant target group. using this feedback to improve the product/prototype in the next iteration step. How to use know-how and resources - the right way! Investing in new products or projects also represents a considerable economic risk for innovative and successful companies such as Melitta. The comparatively inexpensive and swift iteration process with its frequent test phases helps to significantly reduce this risk. Prototypes are built, and value propositions, concepts and business models are validated to analyze whether there is still room for improvement. 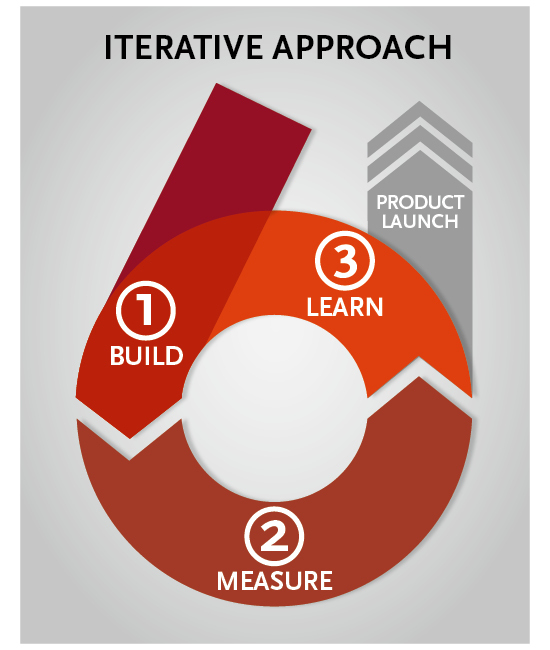 Iterative processes offer room for failure. For only frequent and rapid failure helps identify weaknesses in the current concepts and minimize potential risks – thus significantly raising a project’s chances of success. The success of this strategy is also aided by Melitta’s optimal use of flat hierarchies and short decision-making paths. This means that logistical resources and internal know-how can be utilized much faster than with large corporations. For example, when it comes to contacts with the retail trade, PR and marketing, or legal issues. Individual operating divisions are responsible for incremental innovations, while the Group’s in-house innovation management team is responsible for substantial innovations. Their common goal is to secure and expand the core business with the aid of incremental innovations, i.e. with modifications to existing products, and to develop and build new categories or brand new business fields for Melitta that completely change the market rules of existing segments with substantial innovations. However, the topic of “innovation” is by no means limited to products and services at Melitta, but for many operating divisions is also part of their own growth strategy – and of huge relevance for each employee and every department. After all, new recruiting and working models or the development of new sales channels all help support, strengthen and rejuvenate the Melitta brand. Melitta 2020 or: What’s so innovative about the Innovation Team? Similar to many large companies, innovation is one of Melitta’s instruments for achieving lasting international success in the future. Against this backdrop, the topic of innovation was defined as a specific objective in the Group’s growth strategy “Melitta 2020” – and a four-member Innovation Team was set up in early 2016. For two-thirds of its time, the Team works on business models and product developments for innovative value propositions, while the remaining one-third of its working time is used to enhance innovative capabilities within the Group. One of the first things the Innovation Team did was therefore to develop a manual of methods which should act as a source of inspiration and help employees create and implement their own innovative ideas. In addition, the Team actively supports participating colleagues with training, coaching or tips. And, as an internal service provider, it drives projects forward before returning them to the respective departments. The composition of the Innovation Team is interdisciplinary. In other words, it consists of specialists from different departments with equal rights, who work together on projects and complement each other with regard to their skills. It is no surprise therefore that the individual Team members cover a wide range of areas, tasks and topics. synergy effects can be better utilized, as Team members constantly have to look beyond their own horizon. In this way, innovations can be driven forward much more efficiently by means of iteration and collaboration, as well as with a strong focus on the needs of our customers or end consumers. Coffee meets fruit: ffeel® – Melitta’s coffee lemonade. 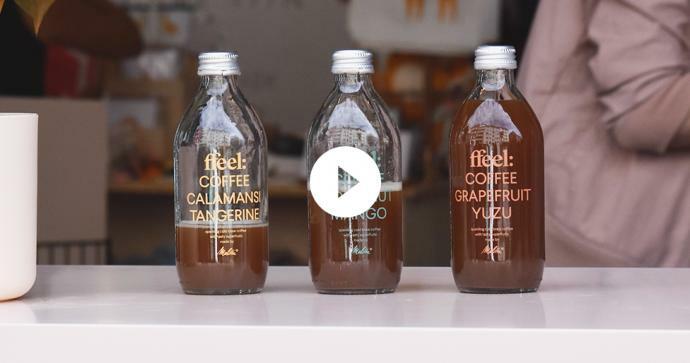 The creative approach of the Innovation Team is demonstrated by a new, innovative product which is of great importance for Melitta: ffeel® – the first coffee lemonade with healthy superfruits. As a natural and refreshing drink, ffeel® is a unique combination of invigorating cold brew coffee and freshly aromatic superfruits – right on trend just now. And offers consumers a completely new and unexpected taste experience. One of the Innovation Team’s tasks is to identify new business fields as early as possible and find “white spots” – areas not yet served by existing offerings. 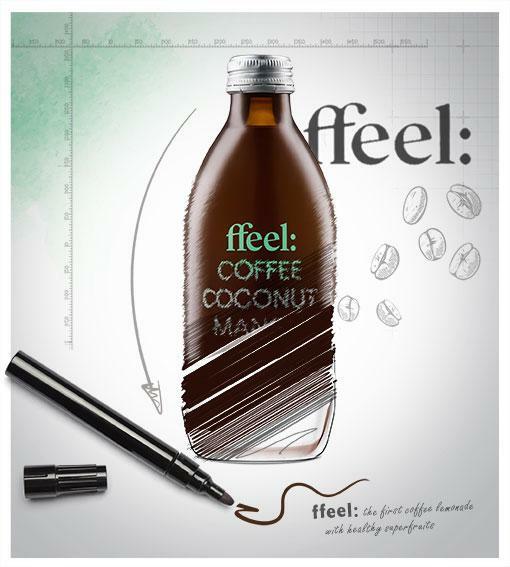 This naturally led the Team to pick up on current trends, such as the growing consumption of “to go” products, the rising popularity of superfruits and the “cold brew wave” currently swirling in from the US, and to merge these into a new product: ffeel®. A gap in the market promising sufficient potential – due to its size and expected sales – had been found. The finished product not only looks good – above all, it tastes fantastic. However, Melitta’s Innovation Team knows only too well that the success of a good idea cannot be forced. And yet, the innovative Minden-based company will continue to focus on developing such new products in the future. By the way: ffeel® has been available via Melitta’s e-shop and at www.ffeel.de since December 2017. 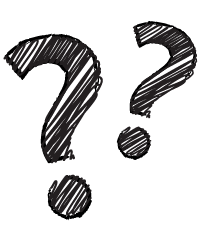 What’s so innovative about the Innovation Team?